Ginger Ciminello – Speaker. Writer. Storyteller. Ginger is a work-from-home mom of two girls, as well as a speaker and writer. Her book, Forget the Corsage, was written to mentor the young women she’s met in auditoriums and classrooms around the country. She has a deep desire to connect with women of all ages and encourage them to laugh, learn from her many mistakes, and connect with the Lord through his Word. I heard you speak this morning at the MOPS group and your words were so encouraging to me. Many things that you said were exact issues I have been dealing with lately and I really believe God placed you and your words for me to hear today. I’m ready to let go of some things I have been holding onto that have been harmful in my mind and life. When God so lovingly reminds me through His word and through other people that it’s time to make the step to be intentional about certain life choices, I am so happy to listen and obey. So thank you so much for your words. Keep on sharing this message! Ginger is a talented speaker. 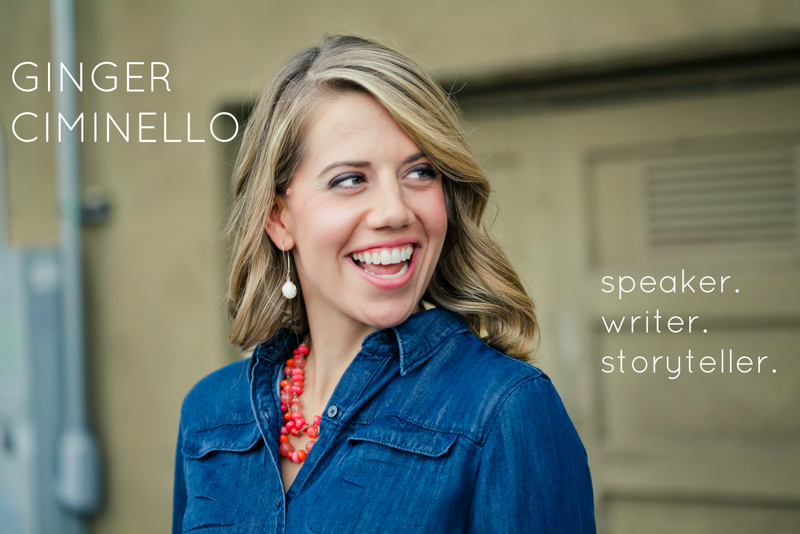 Her content focuses on the truths of Scripture and the availability of the Gospel. Her delivery is unique; rare is the occasion when I have ever found myself underwhelmed by her funny, vulnerable, and engaging speaking style. I remember telling Ginger years ago that she should start a speaking and teaching ministry. I am thrilled for all of our sakes that she has done so. I count it a privilege to be a partner in the Gospel with her & find myself looking forward to having the opportunity to listen whenever she speaks.